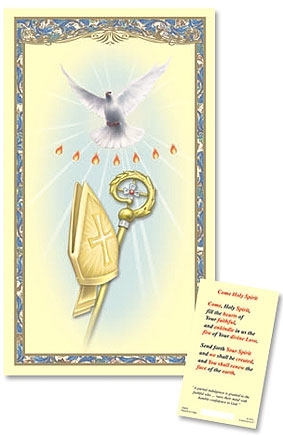 Come, Holy Spirit, fill the hearts of Your faithful, and enkindle in us the fire of Your divine Love. Send forth Your Spirit and we shall be created, and You shall renew the face of the earth. O God, who by the light of Your Holy Spirit, has instructed the hearts of Your faithful, grant us by the same Spirit to be truly wise and ever to rejoice in His consolation, through the same Christ our Lord. Amen.